Ethan de Jong has signed his National Letter of Intent with the Quinnipiac Bobcats men's ice hockey team. He is the fourth future commit to sign his letter of intent in November following William Fällström, Wyatt Bongiovanni and Peter Diliberatore. 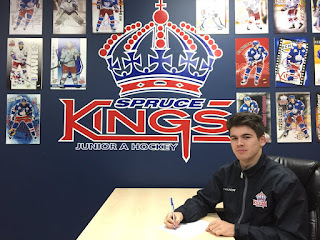 The 1999 born forward from North Vancouver, British Columbia is in his second full season in the British Columbia Hockey League, leads the Prince George Spruce Kings in scoring with 31 points (9 goals, 22 assists) and is tied for 5th in scoring in BCHL. He has already surpassed his production from the 2016-2017 season when he had 30 points (5 goals, 25 assists) in 43 games played. 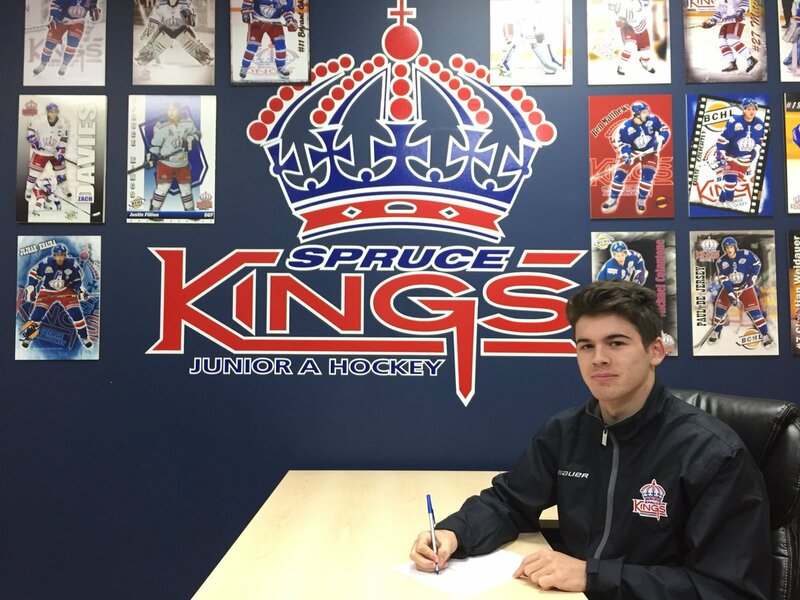 He recently was invited to the Hockey Canada World Junior A Challenge Canada West Selection Camp from December 2nd to 5th in Calgary in order to earn a spot for the tournament that will commence December 10th to 16th in Truro, Nova Scotia. The 5'10 175 pound de Jong originally committed to Quinnipiac back on September 25th. He is projected to arrive in Hamden for 2019-2020 season.